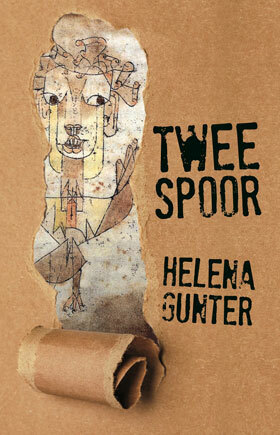 Tweespoor, by Helena Gunter (Publisher: Protea Boekhuis, Pretoria, South Africa, July 2018, 151 pages) It is only available in Afrikaans. In a previous post, I commented on Helena Gunter’s recently published anthology of short stories called Tweespoor (meaning “Double Track”). It is about white Afrikaners in South Africa, a country they may have been born in but where they no longer feel they belong. As you can imagine, it is not exactly a popular theme, nor an easy read. It is difficult to consume, especially for readers who are of that particular generation and origin (born in the 1950s and 1960s South Africa). After reviewing the book, which is written with admirable skill, insight and even wit, I asked Gunter one question: Why? Here is her response, which I’ve translated from Afrikaans. Her answer casts light on why some authors prefer to confront monsters through their narratives, and tackle difficult, critically important, even controversial subjects, rather than soft, innocuous, palatable themes and characters. Her response is below, verbatim.She said that my reception of her book pleased her and made it feel as though her struggle with writing Tweespoor and her doubts about the subject were worthwhile. She said that local, South Africa, critics also gave the book a positive reception, which she appreciates. But it is my review “from outer space” which gave her the assurance that she needed. Certainly Canada might as well be on another planet, it’s so far removed from South Africa in just about all respects. The simple answer is because it is there and because staying silent about it will not solve the massive problems in Southern Africa. South Africa is in trouble, but to me it feels as if everyone around me takes refuge from that [by adopting] in a sort of histrionic positivity, and thinks that the hearts and kisses displayed on their front doors will vindicate them. The White Afrikaans and English-speaking groups (the ducks that swim in my pond) in particular, project a lack of awareness, and denial of the previous century’s displacement, disaphora and objectification of a once-native people. There is an expectation that the neurologically-fixed sense of inadequacy of the formerly-disadvantaged people, and the [fixed sense] sense of superiority of formerly-advantaged people, do not exist, and that, regardless of the Christian-Nationalistic dogma that had been drummed into us, this situation has been miraculously resolved like an aspirin tablet in water and that everyone must now “look to the future”, like children skipping about under a rainbow. The psychological damage, on both sides, is not recognized. It concerns me, and all that I can/want to do is to make stories of it. I want, via my narratives, to remind people of a history that has left wounds. Research into the “genealogy of wounding” (as one commentator described Met Koffer en Kaart) [meaning “With Suitcase and Map”, Gunter’s 2011 anthology], and the investigation of it, are necessary before healing can take place; it will not help to cover up the carbuncle with sticky plasters. It was as if the comparison with the current situation in South Africa jumped out at me from the page. “How do I thank thee? Jy hoop jy laat reg geskied. Jy doen meer as dit. Dis ‘n oplugtende, inligtende, raak, insiggewende en pretensielose resensie. Maar voordat my byvoeglike naamwoorde die naamwoord doodmaak – ek is verheug en voel al die gespartel met Tweespoor en vertwyfeling oor die onderwerpmateriaal was die moeite werd. Plaaslike resensente het die werk ook goed ontvang, en daarvoor is ek meer as dankbaar, maar jou resensie vanuit die “buitenste ruimtes” werp ’n lig wat my die versekering bied wat ek so nodig het. Jy vra hoekom ek die onderwerp aangevat het. Die eenvoudige antwoord is omdat dit dáár is en omdat swye daaroor nie die ontsaglike Suider Afrikaanse probleme oplos nie. Suid-Afrika is in die moeilikheid, maar vir my voel dit asof almal rondom my ontvlug in ‘n soort histrioniese positiwiteit en dink die kruisies en hartjies by hul voordeure gee hulle vryreg. Spesifiek die wit Afrikaanse en Engelse groeperings (die eende van my dam) straal ‘n bewusteloosheid en ‘n ontkenning uit van die voorafgaande eeue se ontheemding, verstrooiiing en verdingliking van die eens-inheemse mens. Daar is ‘n verwagting dat die neurologies vasgelegde minderwaardigheid van eens-benadeeldes en die meerderwaardigheid van die eens-bevoordeeldes nie bestaan nie, dat dit, ten spyte van die christelik-nasionale dogma wat ons ingedril is, wonderbaarlik opgelos het soos ‘n disprin in water en dat almal nou “moet vorentoe” soos huppelkinders onder die reënboog. 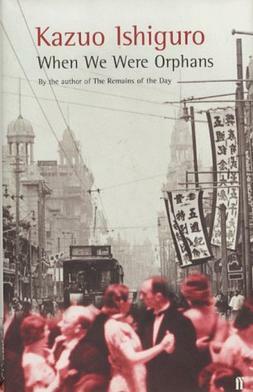 Ek lees gisteraand in When We Were Orphans deur Kazuo Ishiguro: “I felt, not for the first time since arriving in Shanghai, a wave of revulsion towards them… What has quietly shocked me, from the moment of my arrival, is the refusal of everyone here to acknowledge their drastic culpability. During this fortnight I have been here, throughout all my dealings with these citizens, high or low, I have not witnessed – not once – anything that could pass for honest shame. Here, …, is a pathetic conspiracy of denial; a denial of responsibility which has turned in on itself and gone sour, manifesting itself in the sort of pompous defensiveness I have encountered so often.” Dit was asof die ooreenkoms met die huidige omstandighede in SA vanuit die bladsy gespring het. Wat ek interessant vind, is dat J.M. Coetzee se Disgrace met soortgelyke onderwerpmateriaal nie ongemak veroorsaak het nie, maar met die Nobelprys vereer is. Wat my laat wonder – is die Afrikaanse stem, die “meer skuldige” aan die verlede, onaanvaarbaar, maar nie die Engelse een nie, ten spyte van die afgryslikste koloniale imperialisme uit die Engelse verlede?